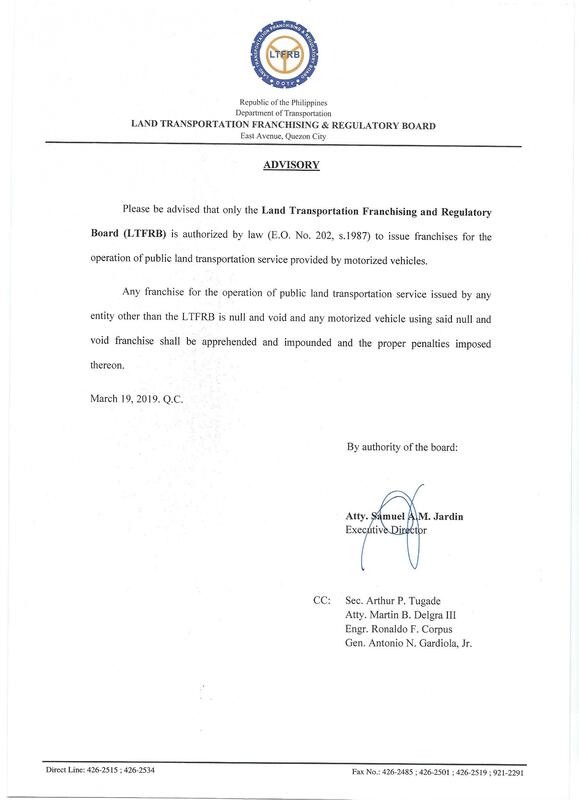 Please be advised that only the Land Transportation Franchising and Regulatory Board (LTFRB) is authorized by law (E.O. No. 202, s. 1987) to issue franchises for the operation of public land transportation service provided by motorized vehicles. Any franchise for the operation of public land transportation service issued by any entity other than the LTFRB is null and void and any motorized vehicle using said null and void franchise shall be apprehended and impounded and the proper penalties imposed thereon.